Competition. On the court. On the track. On the wrestling mat. Whatever the case may be. The Community. Giving back to the community inspires others to follow their path to excellence. The Classroom. Achieving excellence in academics is not an option; it's a priority. 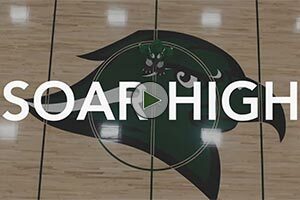 Get a look at our RiverHawks in action by checking out these videos! The RiverHawks championship mentality and execution takes our student athletes to the next level once they leave UCC. Many RiverHawks go on to be successful in university athletic and academic programs while maintaining a firm grounding in giving back to the community. One of the first steps on the road to playing with the RiverHawks is applying to the College. It's free. Plus, it let's the academic staff know that you are interested in attending here. Once you have applied, please continue to explore everything RiverHawks here. Ready? Ready to be a champion? Explore our athletic programs and join the RiverHawks on the path to championship status.